Great Smoky Mountains National Park is the most visited national park in the nation, with around 11 million visitors per year at the last count. Admission is free. Take a look at this Smoky Mountains map to see the lie of the land. The 500,000 acres of parkland are so unique, and contain such a diversity of wildlife and foliage, that the United Nations has named it one of the world’s distinct ecosystems. But you wouldn’t need to know any of this to fall in love with the ancient, rolling mountain ridges that cascade like solid waves, breathtakingly scenic, completely green, covered with lush foliage from the 100 species of trees that inhabit the area. There’s a lot of water in the Smokies, which get their name from the mists and fogs that are a signature feature of the landscape, a product of the abundant moisture. One of the favorite sights for most visitors is the many waterfalls in the park, especially vibrant after a recent rain. There are over 800 miles of trails to hike in the park, and some are very short and very easy. You also don’t have to get out of your car to visit some greatly scenic spots, like the Roaring Fork Motor Nature Trail, a one-way loop trail for cars that starts in downtown Gatlinburg and loops through magnificent changes in scenery and elevation. Park rangers have done a commendable job of making the natural landscapes accessible to all, including non-hikers and those in wheelchairs, or with small children. Take a look also at our own compilation of Gatlinburg hiking trails to see some of the easiest and best walks. The most well known gateway to the national park is undoubtedly the small town of Gatlinburg, nestled up against the park’s boundary. With less than 5,000 permanent residents, Gatlinburg regularly fills with a hundred thousand visitors for some of its many spectacular events. Just up the road to the north, the town of Pigeon Forge makes up the other half of this famous pair. There are countless things to do in Gatlinburg and Pigeon Forge. Both towns are filled with countless attractions, shopping and dining venues, and entertainments galore. Gatlinburg is home to one of the nation’s largest communities of independent artisans, and host several arts and crafts conventions throughout the year. There is also the Smoky Mountain Arts & Crafts Community Trail, a looping scenic drive on the edge of Gatlinburg that contains over a hundred studios and shops with countless unique and handmade items for the perfect gift or keepsake. You can spend a whole day exploring this trail, with plenty of eateries and places to rest along the way. Pigeon Forge is where many of the dinner theaters and spectacular shows are located, as well as all the go-kart tracks – see our go-karts Pigeon Forge page for details. This town also hosts several hot-rod and classic car shows throughout the year, which draw enthusiasts from all over. The town offers its own share of conventions, shows, celebrations and events. Both towns are family friendly and despite being surrounded by the mountains also have their own beautiful parks, rivers and quiet spaces to get out of the bustle. Both towns are also served by a very inexpensive trolley system, with state-of-the-art technology and down-home local drivers possessed of immense local knowledge. While most people drive, a trip on the trolley is a great way to sight-see and to get around. The trolley routes include part of the national park as well as scenic drives, and of course most of the big attractions. In the hills and ridges surrounding the national park, countless modern cabins exist for vacation rentals, most of them predictably positioned for a spectacular view of the mountain ranges that divide the national park and form the state line between Tennessee on the north side and North Carolina on the south. While you can find plenty of hotel accommodation in the towns, by far the signature way to stay in the Smoky Mountains for many people is in a cabin. For these visitors, the lifestyle of a cabin in the mountains can’t be beat and is a large part of the vacation fun. Check our resources for Gatlinburg cabins, a Pigeon Forge cabin rental or our Wears Valley cabins. The rental cabins of the Smoky Mountains are as far from pioneer as you can get. They are packed with amenities such as fully equipped kitchens, and with entertainments such as foosball, a pool table and video games, and with luxuries such as a Jacuzzi in the master bedroom. Almost all cabins have a hot tub on the deck, facing to the best view, so no matter the season, you can always relax and gaze at the natural surroundings from the luxury of a soak at the end of the day. While the national park and the attractions of the towns lie no more than a few minutes away, life in the cabin is in its own world, and perfect for couples, families and groups. Parents love the games that keep the kids occupied, while eating your own food together at “home” is part of the fun. Many cabins are multi-story, with more than one deck and bedrooms on different floors, easily offering several different nooks for people to hang out in. This also makes it very comfortable to share a cabin with friends, driving the cost down to the most affordable way to stay in the Smokies. Gatlinburg honeymoon cabins are especially perfect for lifetime memories following that special say. There are even cabins with heart-shaped Jacuzzis. Getting married is one of the most popular things to do in the Smokies. Love is in the air, in such a romantic setting, and honeymooning is as popular as popping the question. With quaint chapels and churches, and against the backdrop of the Smoky Mountains, and even with services available in your own cabin, it’s no wonder that the area is one of the world’s premier wedding locations. There’s a lot more to explore outside of the gateway towns when you visit the Great Smoky Mountains National Park area. To the west in Wears Valley you’re in the so-called “Quiet Side of the Smokies”, a little away from the bustle of the two towns, with some incredibly scenic roads, and with stunning views of the mountains. To the west also lies Cades Cove, the most popular destination in the park, and an alternate way to enter the park instead of through Gatlinburg. Meanwhile at the eastern end of the park, Cosby campground and environs offers the road less traveled, several of them in fact, with fewer visitors, and with its own share of astounding natural beauty. The key to visiting the Smoky Mountains is to make your own visit work for you. With a vast variety of options, and more things to do and see than you can ever fit into one trip, or perhaps one lifetime, it makes sense to choose favorites. Time and place are important. The fall season offers one of the nation’s most spectacular places to see leaves turn color – remember those more than a hundred species of trees? And the springtime also offers the miraculous sight of millions of wildflowers across the forest floor for a few short weeks until the trees leaf out fully and throw it all into shade again. There are numerous other natural events that occur, as well as human-designed events, filling the seasons around the calendar. It makes sense to check the online event calendars, study the attractions, and ask advice before you come. But you could also just show up. You’ll be fairly certain to have a great time wherever you go, and whatever you do, in the Great Smoky Mountains. 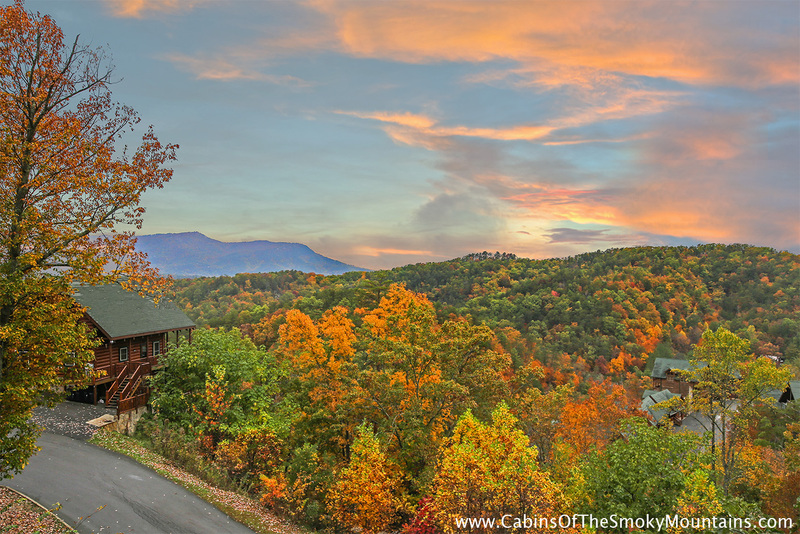 TIP: Check our resources for Gatlinburg cabin rentals, Pigeon Forge cabins, and Wears Valley cabins. How Far is Gatlinburg From Nashville?